Today’s post examines the SQL code necessary to generate the mean center for a geographic data set. 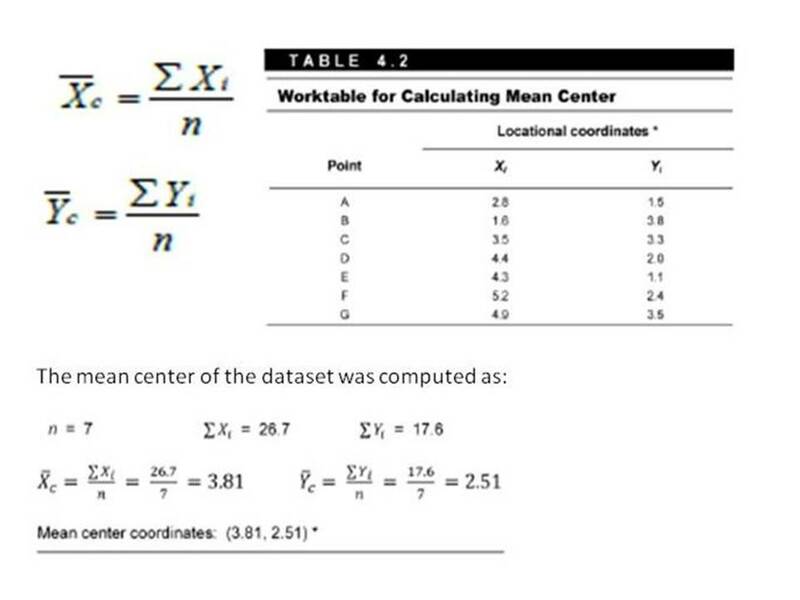 Recall from Statistical Problem Solving in Geography (third edition), the formula for mean center and the 7 point data set used. The next post will examine how to calculate the weighted mean center using SQL. And don’t worry, these examples are going to get more complicated as we go along. This entry was posted in Manifold GIS, Spatial is Not Special, Spatial SQL, SQL, Uncategorized by Art Lembo. Bookmark the permalink.